Headaches - Mississauga Chiropractor and Physiotherapy Clinic - FREE Consult! Headaches is a broad term used to describe head pain. Headaches can range from slight and occasional to frequent and debilitating. Headaches are a common health concern in the general population. According to Health Canada, it is estimated that over a lifetime, only 1% of the population escapes headaches altogether! nerves that make up the neck. Poor posture can take its toll on these structures and their abilities to function properly. Shortening of the front neck muscles (Scalenes and Sternocleidomastoid) can affect blood flow to and from the hand and arms. Many common complaints include light headedness, tightness, reduced mobility and even numbness and tingling into the arms and hands. Headaches can take many forms, the most common being migraine headaches. 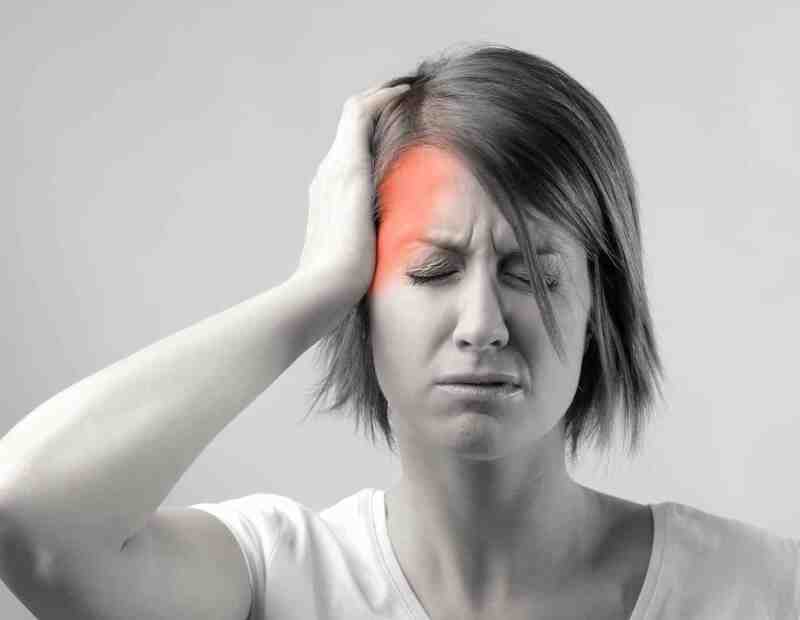 Migraines are estimated to occur in approximately 16% of the population during a lifetime. Women are more prone to migraines (25%) compared to men (8%). It is estimated that approximately 98% of the population will experience their first migraine before the age of 50. Tension headaches: Pain usually originates around the neck, eyes and upper back regions. These headaches usually account for 90% of all headaches. Common causes of tension headaches include poor sitting posture, stress, bad posture and eyestrain, among others. Symptoms usually worsen if proper intervention is not started. Proper stretching and treatment programs can help alleviate symptoms and return patients back to their regular activities. Sinus Headaches: Sinus headache is the term used to describe headaches originating from the sinuses. In the skull there are air-filled cavities. Fluid drains through the sinuses into the nose. Sometimes, the sinuses can become inflamed, usually due to an infection or allergy. This can cause an increase in the production of fluid (mucous), which can increase the pressure in the sinuses. This pressure can then cause a headache, known as a sinus headache. Sinus headaches can cause pain in the following areas – forehead, cheek bones and bridge of the nose. If pressure in any of these areas causes an increase in pain, you may have inflammation in the sinus (Sinusitis). If this pain is leading to a headache, you may have a sinus headache. Cluster Headaches: Sudden, severe, one sided pain above or around an eye may be a sign of cluster headaches. These headaches can occur suddenly, without warning and can reoccur over a duration of 4 to 8 weeks. If you or someone you know is suffering from headaches, a free consultation with one of our doctors may be the first step towards a better life. Call us today at 905-593-1605 or visit us at Unit# 4, 5980 Churchill Meadows Blvd, Mississauga, L5M 7M5. We look forward to meeting with you and discussing your unique health condition soon!